Excerpt from “Sadegh Hadayat: Dar Tare Ankaboot” (In the Spider’s Web), by M. F. Farzaneh (Nashr-e Markaz publishers, Tehran, 2005/1384). M.F. Farzaneh was the young protégé of Hedayat’s latter years who also bore witness to the last few months of Hedayat’s life in Paris before his suicide on April 9, 1950. He lives in France. Excerpt translated by Moe Maleki. What is the subtext of such language? Was Hedayat merely sulking? 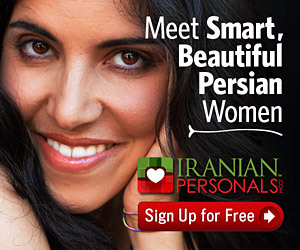 Was Persian (Farsi) the vernacular of idiots? Are all peoples of Iran sycophants? How can a notable literary writer decide that his works should be destroyed? Is it not true that writings after publication are no longer the sole property of its author? The source of such provocation must be sought in the totality of experiences and his mental state in that period of time. I must reiterate some of my earlier points so that the point under discussion becomes clear. I had said that Hedayat had become famous in the years following World War II. He specially took pride in the fact that he was associated with the group of left-wing intellectuals who considered him Iran’s greatest writer. But in reality he took this fame to be contrived. He believed that true fame for a writer lay in amassing a vast readership such that he could live comfortably by the toil of his pen alone. He underscored the point by mentioning the lives of Aleksei Tolstoy and W. Somerset Maugham – how in a communist country Tolstoy was able to own a car and house, and how Indian newspapers gobbled Maugham’s stories at one thousand English lire a piece. Then one can surmise that he considered the Persian language, so much as the readership numbers indicated, the cause of his pitiable means. The total circulation of all his works at the time did not exceed four or five thousand copies. So Hedayat had concluded that his persona, more so than his reader-less works, had become famous. Ignoring the material means (for the moment), even though many of his friends had emigrated elsewhere or abandoned him altogether, he did not feel alone in Tehran. Nothing thwarts a socially-conscious writer more than being ostracized. Such as the great Russian writers who had tasted firsthand the bitter experience of banishment. Ivan Bunin, winner of the 1933 Nobel prize, or Leonid Andreyevwere unduly forgotten in their homeland and perished in exile. But Hedayat’s exile had not yet been so long to attribute his antipathy to exile from his home country. Hedayat detested the very Iranians which he labeled sycophants (rejaleh). And more than anyone, these Iranians were those same that he associated with and considered his intellectual equals. A crucial question arises: can a worldly intellectual, however sensitive he might be, allow himself to declare the peoples of a nation and of his mother tongue as delinquent? I for one, as someone in veneration of Hedayat, could not convincingly allow myself to attribute his suicide to such a brazen assessment. Hedayat was full of awe for Iran and the Persian language. Sure, some lovers take their own life when feeling the wrath of their beloved. But an intellectual who observes and absorbs all the nooks of this environs and employs pure reason to explain any obstacles that may arise, does not, to be sure, take up arms against his beloved for want of requited love. Even assuming that the lover takes his own life for his beloved, we still arrive at the same negative and disparaging conclusion. Two or three years after his death, when I had finally finished Char Dard and wished Hedayat could read it, I really felt his absence and became despondent. It felt as if Hedayat, by taking his own life, was apathetic – or committed treason against me and the likes of me. We needed his presence and Hedayat had not taken this need into account and had selfishly abandoned us! Hedayat was the guiding light and seeing eye of a generation of youth who craved freedom, social justice, progressive ideas and liberal arts. And now with his departure, like orphaned children, we had to become enterprising provocateurs in order to endure banal precepts and stagnant conventions of generations past. Hedayat had, knowingly or unknowingly, deeply influenced the consciousness of a crowd who had barely tasted freedom and had become conscious of the lack of social justice. And precisely at the moment of social upheavals and rising national consciousness, and the discovery of national identity was taking hold, he left us to our own volition and departed. And I have not forgiven Hedayat for this deeply engrained scar in my conscious and cannot accept his “peevishness.” For Hedayat was obligated, whatever the cost, to see to completion the fire of a movement he had instigated. Hedayat did not experience the nationalistic uproar of Mossadegh. Had he been around, he might have been able to shepherd the cultural upheavals of this movement and sway back to the center some of the machinations of his left-weaning friends. For Hedayat had shown he was not a Stalinist and the Tudeh Party had abandoned him, but instead of staying around to champion his ideas, he abandoned all and went to France. To say that Hedayat’s absence from our generation was irreparable would not be egregious. Hedayat was the trailblazer among Iran’s intellectuals. It was he who disparaged the lofty machinations of the intellectuals and made light of them. It was he who held merit superior to cavalier arrogance. It was he who, in circles that comprised Iran’s intellectual elites, dissected the politics of his day and had the efficacy and courage to accost the den of thieves, idiots, and treasonous individuals. Beyond the meticulous and infuriated attack on traitorous characters in Hajji Agha (Mr. Hajji), in Pearl Cannon we find a writer imbued with “political principles” or “principled politics,” in the sense that he expects the socialist, left-wing elements not only to abandon resistance efforts, but to engage in an unfettered, unbiased appraisal of all the antiquated customs and conventions. His methodology is similar to such an approach. Khalil Maleki, who has earned a reputation as an estimable member of the Left, says of Hedayat that on numerous occasions he allowed his leftist friends to gather at his house for discussions, even with the strict rules of his father’s household – and he did not participate in the discussions so that they might be unencumbered to openly debate. Maleki’s account has been attested to by Anvar Khameie. Any time the topic of Iran’s dire circumstances arose, he would say: “the corner store owner is not responsible; those who have gained some education and are indoctrinating others are the ones accountable.” (1) But our generation, that of the post-Hedayat era, did not hold itself accountable and handed-over the nation’s fate to charlatans of Middle Ages. All those young students who went abroad on government stipends of an impoverished nation and returned with advanced diplomas, what aspirations did they exhibit? Is it not true that upon returning they expected to become Ministers, or at least a managing director or party member? Is it not true that they had more contempt for the masses than for colonial powers? How many day-light thieves were among them? Did our generation ever sit next to a common laborer or villager in a coffee house? Never. No. Of course, we knew well the pretense of humanity. We battled illiteracy. We built the School of Sociology and established the art and technology behind the national broadcasting industry. To maintain a sense of identity, we reenacted deep-rooted national rituals such as quasi-religious theater (parde-dari), impromptu theater (theatre roo-howzi), and passion plays (tazieh). But instead of purveying our knowledge, we bartered ignorance. Let it pass! I hope some day our (rightfully) complaintive children will scrutinize my generation’s deficiencies and inadequacies. Some have written or said that I was one of Hedayat’s friends. This assertion is not correct. At first he was a mentor and, as I alluded to previously, he would correct my faulty and incomplete writings. He would introduce me to books required for the education of a young mind. He would assist me in comprehending difficult passages and guided me in the appreciation of fine arts. Furthermore, without being attached to a particular political school, he would introduce me to political discourse by discussing the politics of the day. Hedayat did not espouse his disdain for colonialism only in Pearl Cannon. He considered all of Iran’s landed gentry implements of colonialism, from the Shah on down to the ruling classes. For me, who accepted his views without reservation, politics took on the connotation of a struggle to restrain the populous and any association with it was considered vile. But more than anything, one behavioral trait stood out and that was his view on life: suspicion of what is routinely accepted by everyone, respect for life and all living creatures, sweating the little things in life, disdain for jealousy, humility in the presence of truly great persons, contempt for haughtiness, being demanding of one’s self, struggle to know one’s self, distancing one’s self from triteness and triviality, disdain for everything and anyone simpleton, expecting the most of one’s self, contempt for coercion and intimidation, respect for the Creators, earnestness in all endeavors… and battling darkness in the struggle for truth. These are all traits worthy of respect, traits that even if attained will be incomplete because of an unflinching environment. Persistence in the struggle for truth and purity can break one’s back. Society disdains a determined individual and renders him hapless. Had Hedayat not been tempted by suicide, he would surely have achieved all his goals. But Hedayat, with his stubborn attitude, become despondent and gave up. His suicide was not victory; it was an unqualified defeat. True that many of his admirers have lifted him to the stature of a hopeless hero and attributed his demise to the plight of enlightened men. But his demise was an unenviable blow to those of us who wanted to follow his school of thought. Is it possible to be chaste and austere like Jesus and reach absolute truth? Is absolute truth enshrined in life or in death? Does absolute truth actually exist or is it, like the Creator, every where and yet no where? At twenty years old I regarded such questions as unwarranted and defended all of Hedayat’s deeds and beliefs with vigor. I had even accepted the two-pronged nature of Good and Evil. It was only after Hedayat’s suicide that I began to have doubts. Not of what Hedayat had created; not of what his temperament and his personality (meaning his ethics) were; but of the fate he created for himself – or his upbringing destined for him. But in truth I was rattled and many of my beliefs perturbed when another friend, Morteza Keyvan, was unjustly executed, and I lost my Manichaean beliefs, which I chronicled, with the fictional dexterity I had attained, in the screenplay Moon Obstructed and Char Dard. True that Hedayat and Keyvan had attained the stature of heroes, and many still regard them as such. But I began to doubt even the question of heroism. A hero marches towards war single-handedly. A hero relies primarily on his own legitimacy and is inspired by the deeply rooted conviction of his purpose. A hero is regarded as fearless. Is the struggle to live not a kind of heroism? Is the laborer, worker, or farmer who gets up every morning and trots to work in order to feed his family, which is every man’s right, a coward? Or should a person who has time to ponder and muse, who is not bothered with lightness and darkness of night and day, be considered a hero? If we begin to question the nature of heroism, have we become indolent? I do not know. Many learned men have analyzed such questions. I admit that every day I have pondered whether the deathly path that he chose was a fluke or a heroic rebellion? Like Morteza Keyvan, Hedayat was fascinated by life, on the condition that life be worthy of existence. But how and on what basis can life be deemed worthy of existence? Another crucial point: can man, who enters this world transiently and without bidding, simply and with only his rationale kill his own id? Considering some of the parameters, do we not arrive at the conclusion that when a person attempts suicide, his id is already destroyed? And now, after many years have passed and I have related his life story, I have come to the realization that Hedayat’s will to live had not diminished. Hedayat did not aspire to be known as a hero of “modernism.” He attempted suicide only when he had reached absolute dead-end. But I have earned the right to have a justifiable expectation of him: Hedayat, who in my opinion, had related the ominous days of his youth in a long poem entitled Blind Owl and who was well-acquainted with Freud, why did he not, before departing Iran, attempt a self analysis of his psyche? And why did he not lay bare the reason for his suicide so that it would not become a mystery for his kin? Let us not forget that Hedayat is remembered for his forthright and poetic work, Blind Owl, yet we also need and continue to covet the writer of Al Base’ and especially Pearl Cannon!